Vauxhall has revealed pictures and details of its all-new Insignia Sports Tourer ahead of the Geneva Motor Show. It follows the unveiling of the new Insignia Grand Sport hatch that’s aiming to take on Ford’s Mondeo, as well entry-level executive cars such as the Volkswagen Passat. The Sports Tourer is based on the same all-new architecture as the saloon, but offers a higher level of practicality thanks to a cavernous 540-litre boot. With the rear seats down, that increases to 1,638 litres – over 100 litres larger than the outgoing model. As well as being 73mm longer, it’s also 92mm higher too, meaning there’s much more space in the cabin. Externally, the design is identical to the Insignia Grand Sport from the front, with the same sharp headlights and sloping bonnet. At the back however, it’s clear this is the more practical Insignia thanks to its larger rear-quarter window and more angular roofline, while wraparound tail lights and a larger bumper finish off the look. As for the interior, no exact specifications have been confirmed yet, but the usual accoutrements such as climate control, satnav, parking sensors and rear-view camera will all be there, along with Vauxhall’s latest OnStar infotainment system which features Apple CarPlay and Android Auto. 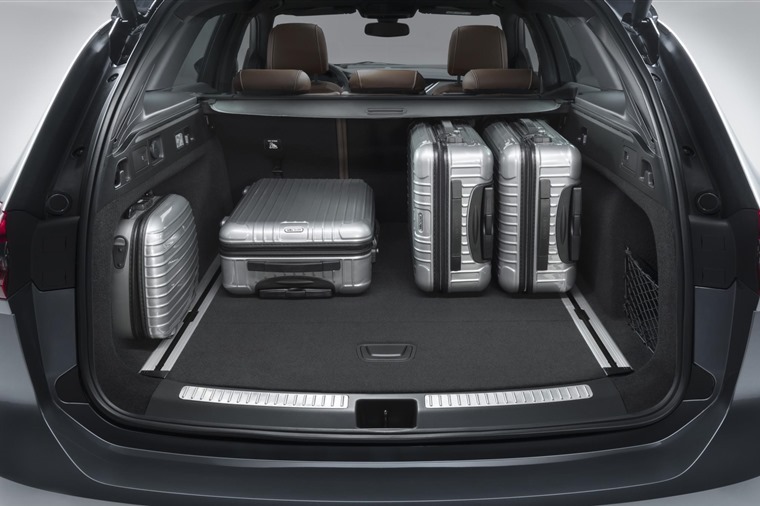 The Sports Tourer will also benefit from options such as a 40:20:40 folding rear seat and a hands-free boot opening system that will make the large boot as practical and usable as possible. The rear seats can be folded down simply at the push of a button too. 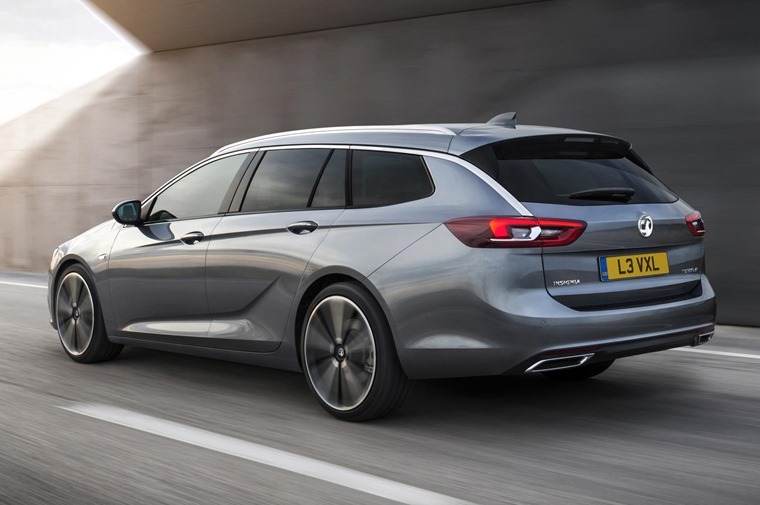 Driving aids and safety are priorities for the Sports Tourer which, like the saloon, will be available with features such as a Head-Up-Display, Adaptive Cruise Control (ACC), Lane Keep Assist with Lane Departure Warning. 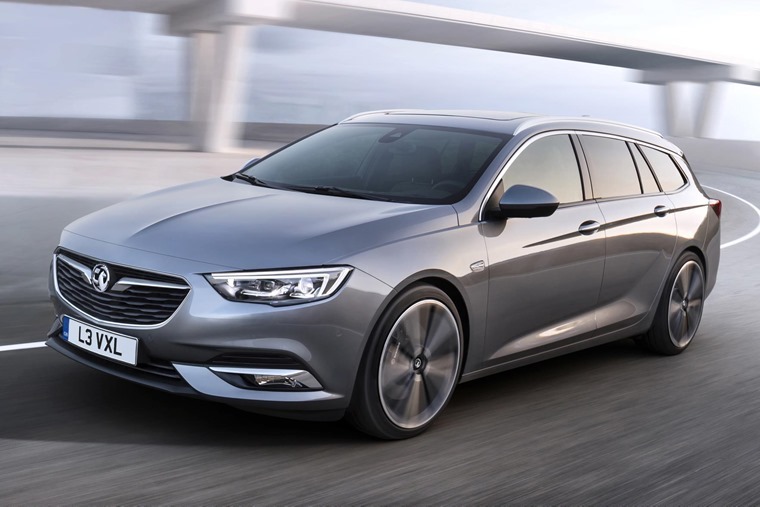 Underneath, the new Insignia range is based on a completely refreshed platform, with the Sports Tourer weighing in up to 200kg lighter than the outgoing model. Vauxhall claims the result is performance and efficiency gains for all engines. No official engine line-up has been confirmed, but we think the range will feature the latest turbo diesel and petrol engines that range from 1.5 to 2.0-litre in size.The more powerful variants will be available with four-wheel-drive too, with some versions even featuring torque vectoring control to improve stability. It’ll be officially unveiled in Geneva next month, so list prices and release dates are yet to be confirmed. With its premium aspirations and new platform however, we think it’ll be slightly more expensive proposition than the current model.